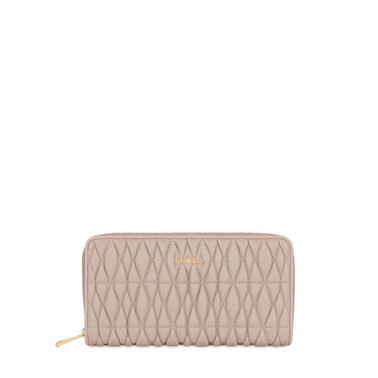 The Furla Cometa wallet comes in soft quilted leather with an extremely spacious design. It features one zipper closure, twelve inner credit card slots, two bill compartments and one zipped coin pocket. 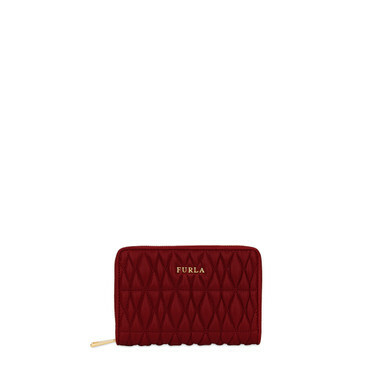 The Furla Cometa Zip Around wallet in soft quilted leather comes with a medium-sized silhouette. It features a functional zipper closure, eight credit card slots, one bill compartment, two inner compartments and one inner zipped coin pocket. 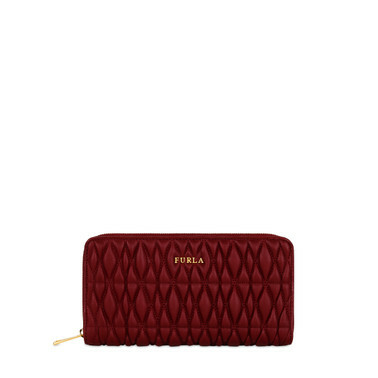 The Furla Cometa Bi-Fold is a small-sized wallet in quilted leather. This practical and elegant accessory, perfect for every occasion, features four credit card cases, one business card slot, one bill compartment and one zipped coin pocket on the back. With the Furla Metropolis Bi-fold wallet in textured leather, the most iconic line of the brand becomes a small leather accessory. 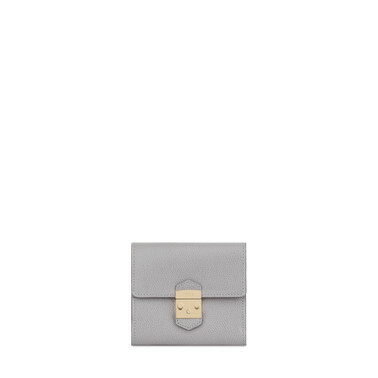 Thanks to its compact silhouette, it fits into every bag and its interior design helps organize better even the smallest space. The Furla Metropolis Tri-Fold wallet mixes smooth and grained leather and is inspired to the most iconic line of the brand. Made with a compact silhouette, it fits pefectly in your pockets and, with its multipocket design, keeps everything organized.